Today we have a smoke-breathing, lava dragon. Name it! Shannon is currently feeding our twin wyrmlings, so I am scribe of our thoughts. So there you have it! Congratulations Alysa! You win this round of Celebrity Judged Name That Dragon! And thank you S and D for picking some killer names! We have some more guest judges in the coming days, so keep those names coming! 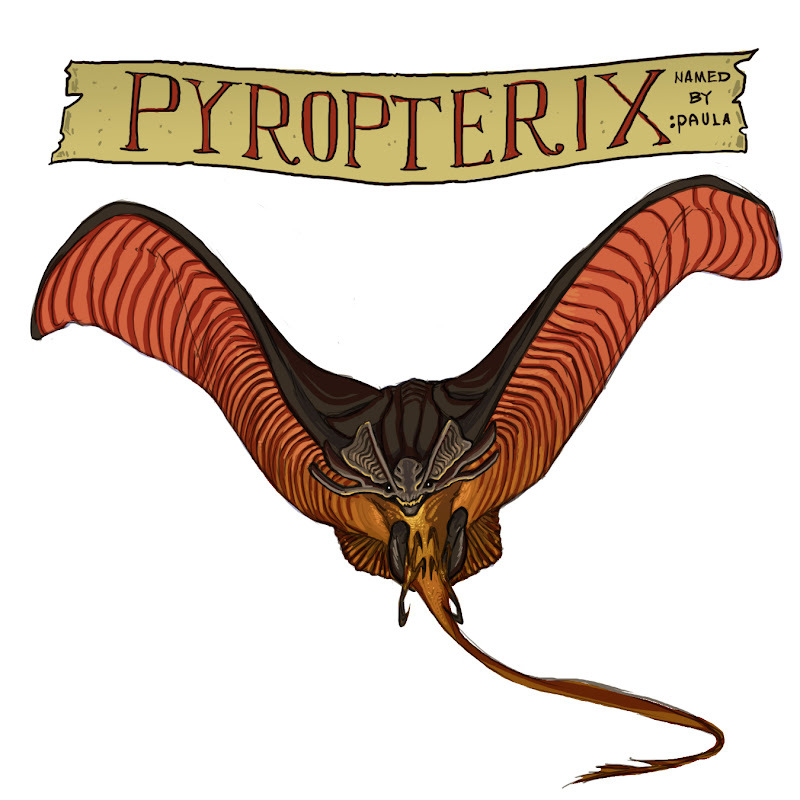 Pyropterix - part pyro, part chiroptera. Infernox, Firax, Firox, Meltrox, Kranxx, Fyrebatt, or "The Ultrasonic Sonar Dragon"! I couldn't login so Lindsay's vote is Smogdor. @ Sarah C. - yours is perfect! @ Lindsay - also love Smogdor.